Palagonite is an hydrated and often altered glass usually associated with sub-aqueous basaltic volcanites. It is commonly considered as an alteration product of normal basaltic glass (sideromelane) with which it is associated in hyaloclastites. Existing information on the diffusion rates of water in natural glasses suggests, however, that the hydration which causes the formation of palagonite takes place at relatively high temperature, that is mainly during effusion and cooling of the lava under water. It is also suggested that generally palagonite is not formed in nature to any great extent from the alteration of sideromelane. Palagonite appears to devitrify much faster than normal unhydrated glass of the same composition. 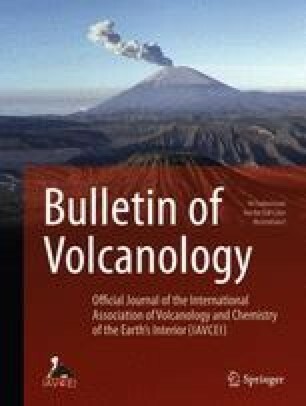 This fact may explain some previously unclear data on the occurrence of volcanic glasses on the floor of the oceans; namely, the existence of totally devitrified glasses in some recent sediments and the finding of unaltered glass in older deposits. Contribution from Scripps Institution of Oceanography, New Serie, and N. 609 from The Marine Laboratory, Institute of Marine Science, University of Miami.